Twinning is winning has been our style mantra since day one. 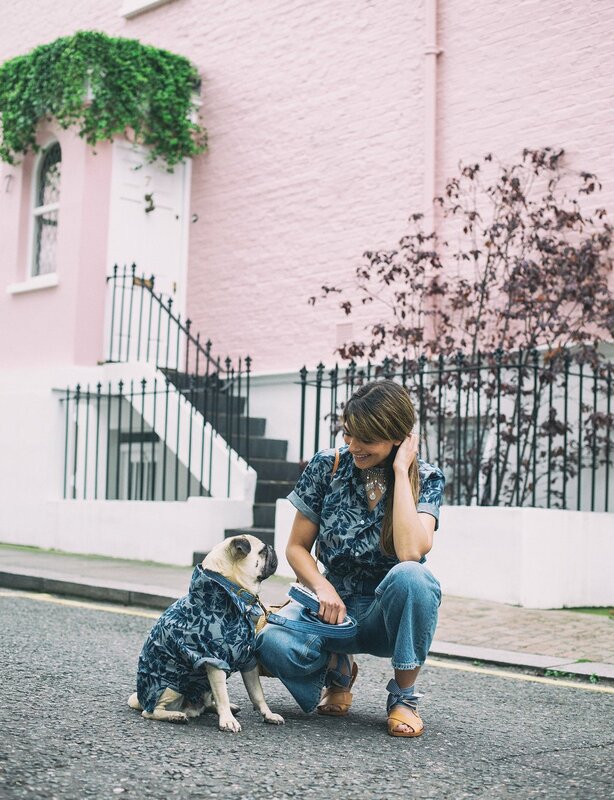 We love mixing human and hound brands and creating our own signature twinning looks. But, when a brand offers you a human and hound twinning option, it makes it easy and just as much fun! Dog Threads recently launched BBQ Shirt offering cool fun prints in shirts for both human & hound. Twinning made super easy! These shirts can be styled in so many different ways. I chose to style mine knotted up, with denim culottes and a boho basket bag. Ari wore his with popped up collar and rolled up sleeves. It was the perfect look for long city walks or a barbecue afternoon with friends. Shirt from BBQ Shirt, Denim Culottes from Zara, Basket Bag from Wood Grey, Sandals from Zara Sale (sold out) but find similar here and here, Necklace from Topshop (old) find similar here and here.